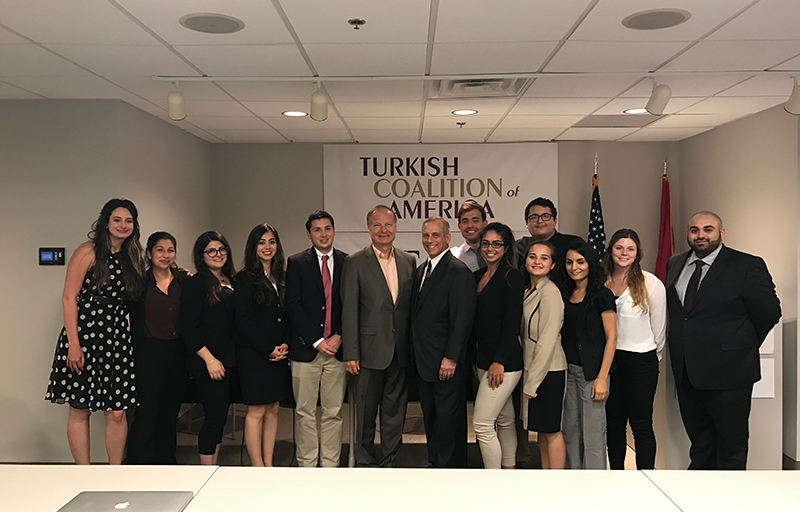 TCA Washington Summer Internship Program provides an opportunity for Turkish American collegiate students and recent graduates to work in Washington, DC in congressional offices and non-governmental organizations. This program is designed to enhance the participation of young Turkish Americans in public affairs and contribute to preparing future Turkish American political and community leaders. The program began in 2007. Since then, 137 internship opportunities have been provided. In Summer 2018, TCA welcomed 9 young Turkish Americans from across the United States to participate in the Washington Summer Internship Program. The program provides an opportunity for Turkish American college students and recent graduates to work in the nation’s capital. It aims to foster young Turkish Americans’ interest in public service as well as enhance their knowledge of American political life, contribute to U.S.-Turkey relations and the TCA mission, and explore career opportunities in public affairs. Interns work with members of the U.S. Congress and select governmental and non-governmental organizations. 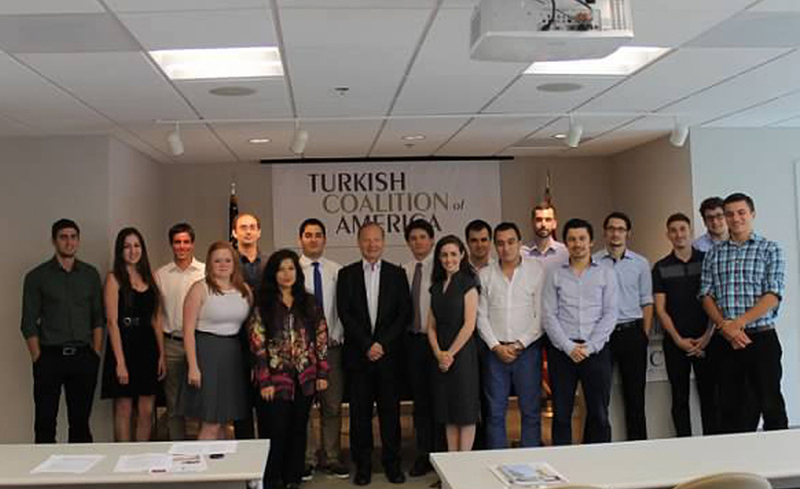 TCA 2018 Summer Internship Program participants worked at the following organizations: the American Turkish Council (ATC), the Turkish Industry and Business Association (TUSIAD), the Union of Chambers and Commodity Exchanges of Turkey (TOBB), the Washington Institute for Near East Policy (WINEP), the Middle East Institute (MEI), the American Turkish Association of Washington, D.C. (ATA-DC), the Turkish Heritage Organization (THO), and the Turkish Coalition of America (TCA). As part of the Washington Summer Intern Program, TCA hosted the annual Summer Intern Orientation at its Washington, D.C. office on July 10. Interns gathered for a day of briefings about TCA, the Turkish Cultural Foundation (TCF), the Turkish American Legal Defense Fund (TALDF), The Turkish American community, and political activism and engagement in the U.S.
Maya was born and raised in Istanbul. She is currently a rising junior at Wheaton College, MA. She is double majoring in international relations and sociology, with a triple minor in legal studies, public policy, and Spanish. She has interned previously at UNICEF Istanbul, conducted research on government policies dealing with post-apartheid contemporary life in South Africa, and has studied sociology in Tanzania. This summer she interned with the Turkish Research Program at The Washington Institute for Near East Policy (WINEP). Selin is a first-generation Turkish American from Birmingham, Michigan. She is currently a junior studying political science and sociology with a minor in Middle Eastern and North African studies at the University of Michigan, Ann Arbor. Currently she is a staff writer for the Michigan Journal of International Affairs and is involved in residence hall leadership. She is also a volunteer with the Turkish American Cultural Association of Michigan (TACAM). This summer she interned at the Middle East Institute. Ceren was born in Turkey and immigrated to the United States at a young age. She is an undergraduate student at the University of California, Berkeley studying global studies, gender and women’s studies. Her focus is on the Middle East and she is learning Arabic in addition to improving her fluency in Turkish. She is interested in the intersection of globalization, identity, and feminism in international relations. This summer she interned at the Turkish Heritage Organization. Engin is a third-year student at the University of Toronto studying peace, conflict, and justice studies with a specialization in Middle Eastern politics. He is currently the Chief Campus Executive Officer for the Youth Caucus of Democrats Abroad Canada and the Founder and President of Canadians for Justice and Peace in the Middle East (CJPME) chapter at the University of Toronto. Engin is interested in U.S. foreign policy, ethnopolitical conflict, and the nexus between conflict resolution and international criminal law. This summer he interned at the Middle East Institute’s Center for Turkish Studies. Ilke was born in Reston, Virginia and has since lived in many places from Maryland to Geneva, Switzerland and Cologne, Germany. She is a rising sophomore at Duke University. 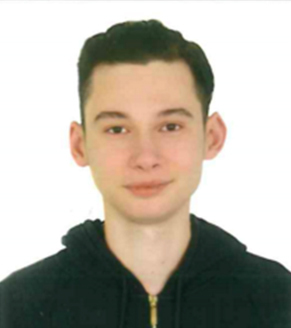 Ilke is interested in international relations and plans on majoring in political science with a minor in economics. This summer she interned for the Union of Chambers and Commodity Exchanges of Turkey (TOBB). Adam is from Greenville, North Carolina. He is currently a rising senior at the University of Mississippi where he is double majoring in political science and history. His academic interests include foreign policy and international relations, specifically related to Turkey and the Middle East. This summer he interned at the TUSIAD (Turkish Industry and Business Association) Washington Representative Office. Ali was born in Boston, MA and got most of his early education in Istanbul, Turkey. He graduated from Pennsylvania State University with a bachelor’s degree in International Politics and History in 2018. He interned at the Turkey-based branches of international firms McDonalds and PPG. This summer he interned at the Turkish Coalition of America and the American Turkish Association of Washington, D.C. (ATA-DC). Eren was born in San Jose, CA. He is currently a junior at University of California, Davis majoring in International Relations. He is interested in history, especially early modern and world history. This summer he interned for the Turkish Coalition of America. Arda was born in Ankara, Turkey and has lived in Germany and Brazil. He graduated in 2018 from Saint Michael’s College in Vermont with a major in International Relations. This summer he interned for the American Turkish Council (ATC). In 2017 TCA welcomed 18 interns to Washington, DC to participate in the Washington Summer Internship Program. Interns were placed on Capitol Hill with the offices of Reps. Alcee Hastings (D-FL/20th), Darren Soto (D-FL/9th), Bonnie Watson Coleman (D-NJ/12th), Michael Capuano (D-MA/7th), and Gregory Meeks (D-NY/5th), the Democratic Party of Virginia, and the TCA office. The Washington Summer Internship Program is open to undergraduate/graduate students and recent graduates of Turkish American heritage. Now in its tenth year, the TCA Washington Summer Internship Program has provided 178 internship opportunities for young Turkish Americans at Congressional offices throughout Washington, DC. Designed to enhance Turkish American participation in political life, the program provides an opportunity for young Turkish Americans to live and work in the nation’s capital, learn about the American political process, contribute to U.S.-Turkey relations and the TCA mission, and explore career opportunities in public affairs. TCA Washington Summer Interns with former members of Congress Dan Maffei (D-NY) and Ken Kramer (R-CO) at the 2015 Summer Internship Orientation. As a part of the 2015 TCA Washington Summer Internship Program, young Turkish Americans from across the country are spending their summers in Washington, DC, interning with members of the U.S. Congress and select governmental and non-governmental organizations. The program provides an opportunity for Turkish American college students and recent graduates to work in the nation’s capital, and aims to foster young Turkish Americans’ interest in public affairs and service as well as enhance their knowledge of American political life. 13 young Turkish Americans are participating in the 2015 program, bringing the number of people interning through TCA to 18, including five friends of Turkey and one Bosnian American intern. Since the program’s inception in 2007, TCA has provided a total of 146 internship opportunities to Turkish Americans and friends of Turkey. The 2015 TCA interns are working in the offices of Representatives Brendan Boyle (D-PA/13th), Frank Guinta (R-NH/1st), Alcee Hastings (D-FL/20th), Bill Pascrell (D-NJ/9th), Ileana Ros-Lehtinen (R-FL/27th), and the Democratic National Committee, as well as at the following organizations: the American Turkish Association of Washington, DC, the American Turkish Council (ATC), the Assembly of Turkish American Associations (ATAA), Atlantic Council, the Middle East Institute (MEI), Quality Trust, the Turkish Industry and Business Association (TUSIAD), and the Union of Chambers and Commodity Exchanges of Turkey (TOBB). As a part of the Washington Summer Intern Program, TCA hosted the annual Summer Intern Orientation Session at its Washington, DC office on July 20. Interns gathered for a day of professional development and briefings with the Embassy of Turkey, representatives from Turkish American organizations, and former TCA summer interns, as well as with two former members of Congress—Dan Maffei (D-NY) and Ken Kramer (R-CO)—who discussed activism and political engagement. The day culminated in a meeting with Dr. Kemal Kirisci of the Brookings Institution and Dr. Kadir Ustun of SETA Foundation, who discussed U.S.-Turkey relations and Turkish politics. Melodi Ak Melodi is from Indianapolis, Indiana. She goes to school at Indiana University, where she is majoring in Political Science and Spanish studies. She is currently involved in Model United Nations and Alpha Sigma Alpha Sorority. After Melodi graduates this fall with her Bachelor’s degree, she would like to stay in DC and work in Congress or a think tank until starting a Masters program. She is currently interning with the office of Congressman Alcee Hastings (D-FL/20th). Yunus Altug Yunus was born and raised in Turkey, and received his undergraduate degree in Business Administration from Gaziantep University. Most recently, he graduated with a BA in Political Science from Florida International University and a Professional Pilot and Aviation Administration degree from Miami Dade College, from which he was the first Turkish American to graduate. He has also served as a Guardian Ad Litem in Florida. Following his internship this summer with the office of Congresswoman Ileana Ros-Lehtinen (R-FL/27th), he wants to continue working in international affairs, researching the Middle East and U.S.-Turkey relations. David Barkus David is from Waltham Massachusetts and is currently interning at TOBB, the Union of Chambers and Commodity Exchanges of Turkey. A student at the University of Massachusetts Boston, he is pursuing a degree in accounting. Outside of school he plays in a band and participates in power-lifting competitions. After graduation he plans to take the CPA exam and find a job in accounting. Alexa Calaguas Lex was born and raised on the East Coast, but went to high school in Iowa. She is currently a senior at Rollins College in Winter Park, FL studying international relations and political science. She is obsessed with travelling, and after graduation is planning on moving to Europe to work and continue her studies. This summer she is an intern at the Turkish Coalition of America. 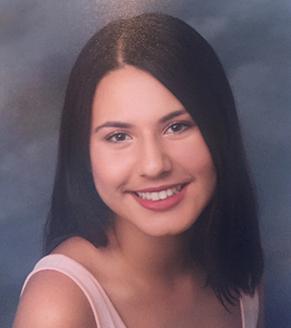 Deniz Citak Deniz is from Easton, Pennsylvania and attends Georgetown University in Washington, D.C. He is pursuing a Bachelor of Science in Foreign Service focusing on Middle Eastern and Western European Studies. He is involved in the Georgetown Voice; the Georgetown Turkish Students Association; and the International Relations Club. Deniz is considering a career in diplomacy, government, or international journalism. He is interning at TCA and at the Assembly of Turkish American Associations (ATAA). Eyup Civelek Eyup is from Istanbul, Turkey. He earned his B.A. in International Relations at Dokuz Eylul University in Izmir, Turkey, and received his Master’s of Public Policy degree from the Michigan State University. He is currently pursuing his PhD in Political Science at the University of Florida. Eyup previously interned at TCA Washington Office in 2013 and at the Aspen Institute’s Middle East Programs in the Summer of 2014. Currently he is interning at the Rafik Hariri Center for the Middle East of the Atlantic Council, where he wrote the first Turkish article the Council has ever published. He is planning to be a Political Scientist in the future. Cemre Efe Born in Turkey, Cemre has lived in the U.S. for almost five years. He is a student at Temple University in Philadelphia, Pennsylvania, pursuing a Political Science degree with Global Studies (Security track) minor. His dream is to become a Foreign Service officer after he graduates. He plays soccer, his favorite sport, for a Turkish soccer team in Philadelphia. This summer he is interning at the Turkish Coalition of America. Michelle Foley Michelle grew up in Glen Rock, New Jersey. She is an alumna of McGill University, where she pursued a B.A in Political Science and Russian Studies. A former Fulbright Scholar in Turkey, she is interested in pursuing a career in International Affairs, specifically in international education and development. She is currently an intern with the office of Congressman Frank Guinta (R-NH/1st). Elvir Klempic Elvir was born in Bosnia and Herzegovina and raised in Iowa. A graduate of Iowa State University, he majored in Political Science and International Studies, earning a B.A. in December 2014. Aside from being a big soccer fan, Elvir is very interested in the policy-making process. He is currently interning at the Democratic National Committee as a Political Intern for the National Democratic Ethnic Coordinating Council. Gizem Korkmaz Born and raised in Ankara, Turkey, Gizem came to the United States in 2009 for her senior year of high school. She graduated with a degree in Political Science and a minor in History from Virginia Tech University in 2014, where she was a member of the business fraternity Alpha Kappa Psi and interned for a State Senate Candidate campaign. 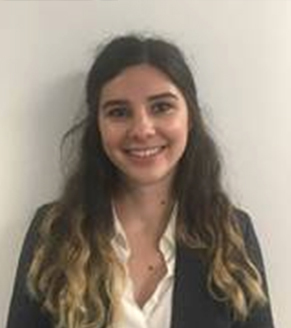 For the last year Gizem has worked for a healthcare advisory company in Istanbul, and will begin a Master’s Degree in Political Science At George Mason University this fall. Currently she is interning for the Middle East Institute’s Center for Turkish Studies. Daniel Lumer A New Jersey resident, Daniel is entering his final year at Rutgers University - New Brunswick. 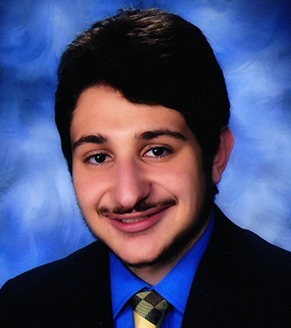 There, he is enrolled in the Rutgers School of Arts and Sciences Honors Program, and is pursuing a Bachelor of Arts degree in Political Science and Economics. Daniel is currently interning with the office of Congressman Bill Pascrell, Jr. (D-NJ/9th). Previously, he has interned for campaigns, a civil rights law firm, and a public affairs firm, and he has also performed academic research on the relationship between whistleblowers and media coverage. His long-term career interests include political communications, policy development, and the legal field. Altay Malazgirt Altay is a first generation Turkish American born and raised in San Francisco, California. In May, he graduated with a bachelor's degree in International Business from San Francisco State University before moving to Washington, DC to begin his internship. He wants to become a Foreign Service officer with the US State Department in the future. Currently he is interning in the office of Congressman Brendan Boyle (D-PA/13th) and the Turkish Coalition USA PAC. Kaan Peksenar Hailing from the capital of the Old Tobacco State (North Carolina), Kaan is a rising junior at the University of North Carolina at Chapel Hill studying economics and minoring in public policy and business. He is the co-president of the Turkish Student Association, is part of an acapella group on campus, works with the women’s varsity soccer team as a student manager, and plays on the UNC Club soccer team. He is also an alumnus of the first annual Turkish Coalition of America Youth Conference held last year. This summer he is interning for the American Turkish Council (ATC). Evrim Polat Evrim is from Istanbul, Turkey and came to the United States seven years ago. In 2015 she graduated from George Mason University with a Global Affairs major and a Business minor. While in school, she was a member of several honors societies including Phi Theta Kappa and the National Society of Collegiate Scholars. 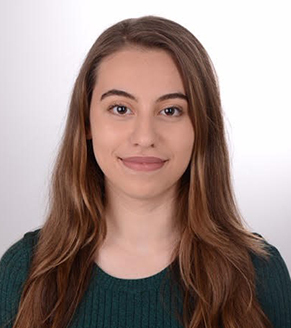 Evrim is planning to pursue a Master’s degree that focuses on Turkey and Turkish politics, and she wants to pursue a career in U.S.-Turkey relations. Currently she is interning in the Turkish Coalition of America. 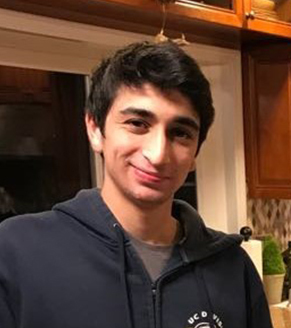 Kaan Ulgen Originally from Istanbul, Turkey, Kaan Ulgen is a rising junior at the University of Chicago, where he is majoring in Political Science and Public Policy. At the University of Chicago, he is the University’s Institute of Politics’ incoming Student Programs Chair. He is also the Vice President of Turkish Student Association and participates in debate competitions. Kaan is interested in going to law school once he graduates. He is currently interning with the Turkish Industry & Business Association (TUSIAD) Washington Representative Office. Rana Unal Rana is a rising sophomore at Bogazici University in Istanbul, Turkey. She is pursuing a Bachelor of Arts degree in Western Languages and Literatures. She is involved in the Political Science Club and plans to pursue a career in public policy and/or international relations. Rana is interning with the Assembly of Turkish American Associations (ATAA) and the American Turkish Association of Washington, DC (ATA-DC). Hatice Uyanik Hatice is from Antalya, Turkey. She originally came to the United States to pursue a Master’s Degree in Special Education from San Francisco State University after graduating from Gazi University in Ankara, Turkey with a BA in Elementary Education. She also received a Master’s Degree in Primary Education from Akdeniz University in Antalya, Turkey. Currently, she is completing her PhD in Special Education from the University of Kansas. This summer she is an intern at Quality Trust for Individuals with Disabilities. 13 Turkish American college students and recent graduates completed internships through the Turkish Coalition of America’s Washington Summer Internship Program. Seven of the participants interned in Congressional offices. They worked in the offices of: Congresswoman Donna Edwards (D-MD/4th), Congressman Hakeem Jeffries (D-NY/8th), Congressman Jim McDermott (D-WA/7th), Congressman Todd Rokita (R-IN/4th), Congressman Gerry Connolly (D-VA/11th), Congressman Alcee L. Hastings (D-FL/20th), and Congresswoman Ileana Ros-Lehtinen (R-FL/27th). Participants also interned with organizations throughout Washington, D.C., including the American Turkish Council, American-Turkish Association of Washington, D.C., Assembly of Turkish American Association, Turkish Coalition of America, and United Macedonian Diaspora. One organization hosted an intern for the first time: Voice of America, Turkish Service Desk. The 2014 interns were: Oya Aktas, Ersin Aydin, Mary Jane Dumankaya, Mario Erpinar, Deniz Irgi, Erin Iyigun, Suzan Kalem, Gizem Korkmaz, Sim Guney LeCompte, Zaynah Orali, Berk Ozmeral, Denise Schreffler, and Andra Sylejmani. Oya is presently a student at Washington University, College or Arts and Sciences, in St. Louis, MO. 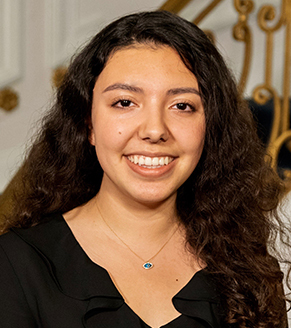 She is majoring in Economics and completing a self-designed interdisciplinary major in the Humanities that focuses on the historiography of Turkey. She studied abroad at Bogazici Univeristy in Istanbul, Turkey. She participates in Mock Trial, and is an active member of the Turkish Student Association at Washington University. Oya also works for the Washington University Political Review during the academic year. She intends to attend law school upon graduation. She is interning with the office of Congressman Alcee Hastings (D-FL/20th). 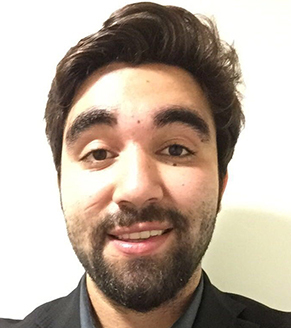 After completing his Bachelor of Arts degree in International Relations and Political Science from Adnan Menderes University in Aydin, Turkey, Ersin received a scholarship to attend graduate school in the U.S. Ersin graduated from Western Illinois University in Macomb, IL in the 2014 spring semester. He earned his Master’s Degree in Political Science. Ersin specialized his studies in International Relations and Comparative Politics. Ersin is certified to teach within the European Union, and spent several years working at the Chicago O’Hare International Airport. Ersin is eager to begin his career in Washington, DC in the public policy field. He is interning with the office of Congressman Todd Rokita (R-IN/4th). Born in New York, Mary Jane is a rising senior at New York University in New York, NY. She is majoring in International Relations and wants to pursue her interest in politics as a career upon graduation. She spent the 2014 spring semester studying in London, England as an International Ambassador. She currently works for the Washington Square News during the academic year. Her past internships include working with the Republic of Turkey Ministry for EU Affairs and the Permanent Mission of Turkey to the United Nations. She is currently interning with the office of Congressman Hakeem Jeffries (D-NY/8th). A rising junior at Occidental Colleague in Los Angeles, CA, Mario graduated with a degree in Diplomacy and World Affairs. He studied abroad in Quimperlé, France, and is fluent in Spanish, French, and Turkish. Mario would like to professionally pursue his interests in the bilateral U.S.-Turkey relationship. He is interning with the American Turkish Council. Deniz is a rising senior at the University of Washington in Seattle, WA and is pursing a Bachelor of Arts degree in Political Science. He is focusing his studies on International Relations and Political Economy. He moved to the U.S. with his family when he was seven-years old, and is an active member of the Turkish American community in Seattle. He is a board member with the Turkish-American Cultural Association of Washington, and is interning during the academic year with the office of Bob Ferguson, Washington Attorney General. He plans on enrolling in law school upon graduation. 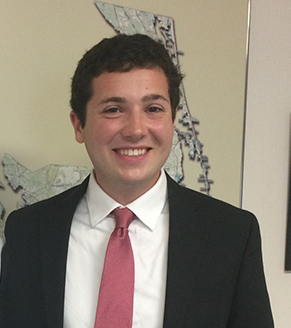 Deniz is currently interning with the office of Congressman Jim McDermott (D-WA/7th). Currently a rising junior at Brown University in Providence, RI., Erin is pursuing a Bachelor of Arts degree in Political Science and Economics. Erin participates in Brown Parliamentary Debate, and serves as copy editor for the Brown Political Review. She also works as an instructor for elementary and middle school students enrolled in a political discussion seminar. Erin is interested in pursing a legal career and enjoys traveling to Turkey to visit family. She is currently interning with the office of Congresswoman Donna Edwards (D-MD/4th). Suzan was born in the U.S., but grew up in Turkey. Suzan is completing her undergraduate degree in International Relations at Bilkent Universty in Ankara, Turkey. She is completing her degree with honors, and wants to move to Washington, DC to attend graduate school and begin her career in public policy. She is interning with the Assembly of Turkish American Associations. Gizem graduated from Virginia Polytechnic Institute and State University in 2014 with a degree in Political Science and History. She was also an honors student. Gizem studied abroad in Switzerland during her collegiate tenure, and was a member of Alpha Kappa Psi, one of the oldest and largest business fraternities in the U.S. Gizem is interested in beginning her career in Washington, DC. She is interning with the office of Congressman Gerry Connolly (D-VA/11th) and the United Macedonian Diaspora. Sim is studying Journalism and Mass Communication, specializing in Public Relations, at the University of Minnesota in Minneapolis, MN. She studied abroad at the Université Paul Valery, III in Motpellier, France. Sim is fluent in Turkish and French. Sim interns at the Minnesota International center during the academic year and is the public relations officer for the Turkish-American Student Association at the University of Minnesota. She is interested in building a career in public relations with non-profit organizations that focus on human rights. Sim is interning with the Turkish Service at Voice of America. Hailing from Santa Barbara, CA, Zaynah is studying chemical engineering at Santa Barbara City College. Zaynah is a volunteer with the MIT Enterprise Forum Central Coast in Santa Barbara, CA during the academic year. She is interested in pursuing a career in science and public policy. As such, she is using her time in Washington, DC to learn more about the U.S. political process and U.S.-Turkey relations. She wants to become more involved in her community and is eager to learn how she can utilize her skills to do so. She is interning with the American Turkish Association of Washington, DC. Berk is currently a student at the Elliot School of International Affairs at The George Washington University in Washington, DC. He is focusing his studies on the Middle East. He is an active member of the Turkish Student Association, and received his Eagle Scout Award in 2011. Berk plans to enroll in graduate school after earning his undergraduate degree. He is interning at the Turkish Coalition of America. Hailing from Leesburg, VA, Denise is currently a student at Louisiana State University in Baton Rouge, LA. She is studying Political Science, with a concentration in American Government and Politics. She currently serves as the public relations director for the Greek Board at Louisiana State University. She is also the committee head for Delta Delta Delta sorority’s public relations efforts. Denise is interested in pursuing a career in public policy and law. She is interning with the office of Congresswoman Ileana Ros-Lehtinen (R-FL/27th) and the Assembly of Turkish American Associations. Andra moved to the U.S. from Turkey when she was two-years-old, and her family settled in Kenosha, WI. She graduated from the University of Wisconsin with a Bachelor of Arts degree in International Studies. She is currently the Assistant Branch Manager for a branch of Guaranty Bank in Wisconsin, and she hopes to transition her career to focus on international economics and business development. One of her short-term goals is enrolling in graduate school. She is interning at the Turkish Industry and Business Association (TUSIAD) Washington, DC office. 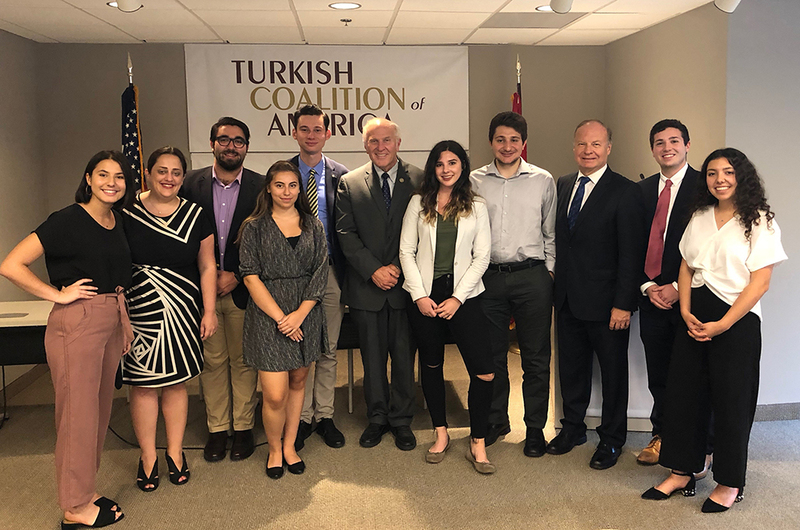 The Turkish Coalition of America offered 18 Turkish American collegiate students and recent graduates internship opportunities in Washington, DC. The TCA interns worked in the offices of Congresspersons: Tim Bishop (D-NY), Doug Collins (R-GA), Alan Grayson (D-FL), Alcee Hastings (D-FL), Jim Moran (D-VA), Ileana Ros-Lehtinen (R-FL), and Ed Whitfield (R-KY), and at several organizations. The 2013 interns were: Eray Aktepe, Atakan Ata, Kerem Atalay, Ersin Aydin, Sinan Bass, Yasemin Baturgil, Kazim Bayindir, Baran Cansever, Aysha Cohen, Bahadir Demirel, Koray Edip, Artun Ereren, Suzan Kalem, Cem Kenar, Derin Pekin, Serena Saari and Mustafa Turan. “Aside from all of the professional work I completed with the National Association of Attorney’s General (NAAG), I met a lot of interesting people at and outside of TCA, many at local establishments around Washington, DC. Just being in Washington, DC is a shared experience by everyone in the city. I truly believe this connection creates stronger ties and friends for life. Interning in DC was an experience I will never forget.” Artun Ereren, 2013 TCA Washington Summer Intern, Orange, CA, National Association of Attorney’s General. “Overall, I had a great experience interning on the Hill in Congressman Tim Bishop’s office and I hope to come back to DC in the future for any other internships or job opportunities, or simply just to visit because I have come to love the city.” Yasemin Baturgil, 2013 TCA Washington Summer Intern, Melville, NY, Rep. Tim Bishop. “My internship experience at the Center for International Private Enterprise (CIPE) was great! I learned several new things regarding information on issues and skills to complete time-sensitive projects, and I met a lot of great people. This is definitely something that will stick with me for a very long time, and I am glad that I had the opportunity to participate. Thanks again to the Turkish Coalition of America for giving me these amazing experiences and opportunities.” Ersin Aydin, 2013 TCA Washington Summer Intern, Chicago, IL, Center for International Private Enterprise. 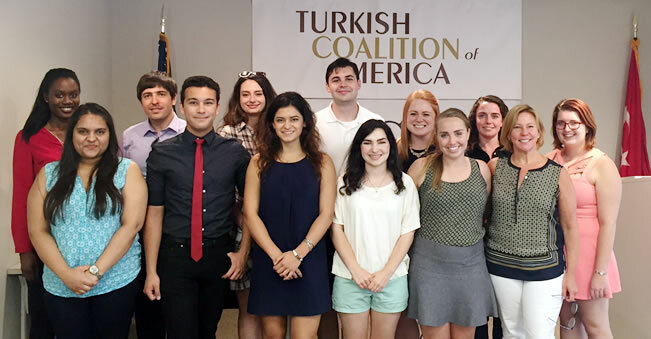 19 Turkish American collegiate students and recent graduates received internship opportunities in Washington, DC through the Turkish Coalition of America Washington Summer Internship Program. The TCA interns worked in the offices of Congresspersons: Robert Aderholt (R-AL), William Lacy Clay (D-MO), Yvette Clarke (D-NY), Steven Cohen (D-TN), Gerry Connolly (D-VA), Virginia Foxx (R-NC), Adam Kinzinger (R-IL), Mary Bono Mack (R-CA), Tom Price (R-GA), Ileana Ros-Lehtinen (R-FL), Steve Rothman (D-NJ), Ed Whitfield (R-KY), and Joe Wilson (R-SC), and at several organizations. The 2012 interns were: Ergin Ayalp, Matt Ayhan, Denise Baltuskonis, Tugba Bayram, Sinan Cingilli, Nazli Selin Czkan, Jem Griffith, Damla Karagoz, Alper Mercan, Nil Oktem, Ceren Oney, Altay Otun, Cory Sagduyu, Iris Serinken, Ozge Tek, Nina Turk, Dylan Yalbir, and Katherine Zerwas. “This past summer being a part of TCA Washington Summer Internship Program was one of the most enriching and eye-opening experiences of my life. I was able to see firsthand how our government’s legislative body is run. Most importantly I experienced being a politically active citizen and realized how we need to make our voices heard if we want real change and progress to happen.” Natalia Semrin Aleckson, 2012 TCA Washington Summer Internship Program, Aliso Viejo, CA, Rep. Tom Price. “I am truly grateful to TCA for providing me with this wonderful opportunity to intern on Capitol Hill. It was amazing to see the impact Turkish Americans have made in Congress by raising awareness of the large and continuously growing Turkish community within the United States. The experiences I’ve had in Washington will be memories I will treasure.” Nina Turk, 2012 TCA Washington Summer Intern, San Clemente, CA, Rep. Adam Kinzinger. “My experience at TCA taught me a lot about what it means to be an advocate in my own community and beyond. It opened my eyes to the world of public service, giving me an inside look at the political process on Capitol Hill. From think tanks to meetings with Congressional delegates, this experience had a huge impact on my knowledge of how policies are formed. Now that I have finished my internship, I have a better understanding of what to do in order to have my voice heard and be an engaged citizen.” Deniz Cakiraga, 2012 TCA Washington Summer Intern, Nashua, NH, American Friends of Turkey. 23 Turkish American collegiate students and recent graduates participated in the Turkish Coalition of America 2011 Washington Summer Internship Program. The TCA interns worked in the offices of Congresspersons: Dan Burton (R-IN), Yvette Clarke (D-NY), Steven Cohen (D-TN), Tom Cole (R-OK), Gerry Connolly (D-VA), Virginia Foxx (R-NC), Alcee Hastings (D-FL), Christopher Murphy (D-CT), Ileana Ros-Lehtinen (R-FL), Nydia Velazquez (D-NY), and Ed Whitfield (R-KY), and at several organizations. The 2011 interns were: Ata Akiner, Farrah Ozgul Andican, Saide Ashabaoglu, Kerem Atalay, Ilim Baturalp, Sinan Cingilli, Artun Ereren, Burak Guvensoylar, Sibel Kayaalp, Gulnara Nasibova, Tugce Ozer O'Neil, Ceren Oney, Eva Outzen, Altan Ozler, Busra Ozturk, Erin Pamukcu, Gulperi Salman, Atilla Toy, Sylmarie Trujillo, Deniz Tumer, Ayhan Marie Ucok, Zeynep Sila Yalcin, and Duygu Yigitsoy. “People outside the beltway mostly do not understand Washington’s politically charged climate even if they studied political science or international affairs in college. I admit I was one of them. Through TCA’s internship program, I was able to intern with Rep. Ed Whitfield. This experience developed my institutional knowledge of how Congress functions at its core, both its unique structure and intimidating culture. If you are a student or a recent graduate, this may be THE opportunity that gives you the exposure and experience you’ve been pursuing.” Burak Guvensoylar, 2011 TCA Washington Summer Intern, Norcross, GA, Rep. Ed Whitfield. “My internship on the Hill has opened so many doors and opportunities for my future. Interning for a U.S. Congressman while serving as a Turkish Youth Ambassador has taught me so much about U.S.-Turkish relations and has provided me with memories for a lifetime. From private jazz concerts at the Turkish Ambassador’s residence to intensive panel discussions with Turkish media and governmental figures, I had the best summer and made the best friends I ever could have hoped for.” Sibel Kaayalp, 2011 TCA Washington Summer Intern, Plano, TX, Rep. Dan Burton. “Through the TCA Washington Summer Internship Program, I was able to solidify my interest in politics. It allowed me to explore the U.S. political system and the city of Washington, all while meeting great people with similar interests, and I can definitely say that some of my favorite memories have been from this internship.” Saide Ashabaoglu, 2011 TCA Washington Summer Internship Program, Charlottesville, VA, Rep. Nydia M. Velazquez. “The two months I spent interning for TCA and living in DC account for the one of the most exciting and productive eight weeks of my life. What an incredible program!” Sinan Cingilli, 2011 TCA Washington Summer Intern, Maple Grove, MN, Turkish Coalition of America. After three years of partnering with TUSIAD-US, The Turkish Coalition of America took sole ownership of the TCA Washington Summer Internship Program and provided 24 Turkish Americans the opportunity to intern in the nation’s capital. These young Turkish Americans, like those who preceded them, not only benefited greatly from witnessing how Washington works, but were great ambassadors for the Turkish American community on Capitol Hill. The TCA interns worked in the offices of Congresspersons: Dan Burton (R-IN), Steve Cohen (D-TN), Tom Cole (R-OK), Gerry Connolly (D-VA), Alan Grayson (D-FL), Alcee Hastings (D-FA), Mike McMahon (D-NY), Jean Schmidt (R-OH), David Scott (D-GA), and Ed Whitfield (R-KY); the House Committee on Foreign Affairs Subcommittee on Europe; and the House Committee on Financial Services and at several non-profit organizations. The 2010 interns were: Begum Kardesler, Nicole Ashaboglu, Berk Baslangic, Melody Bayer, Akasya Benge, Andrew Campion, Baran Cansever, Batuhan Demirci, Sumer Erdener, Kerem Eroglu, Dzana Fetibegovic, Secil Goksu, Alican Mutus, Gulnara Nasibova, Baybar Orsek, Ferdi Ozsoy, Berkend Pura, Elif Senvardarli, Sylmarie Trujillo, Akay Tunak, Furkan Unal, Peri Unver, Duygu Yigitsoy, and Katherine Zerwas. The Turkish Coalition of America and the Turkish Industrialists’ and Businessmen’s Association (TUSIAD–US) offered 18 Turkish American collegiate students internship opportunities in Washington, DC. The summer internship program is designed to expose Turkish American students to U.S. governmental bodies and the policymaking process. 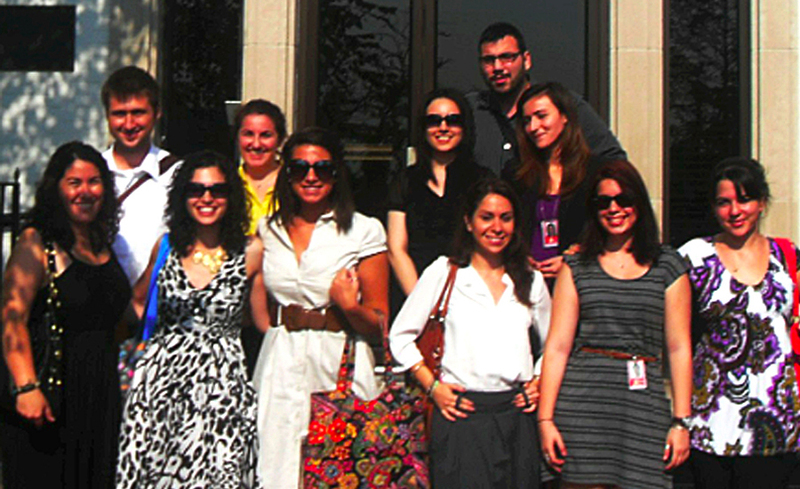 The 2009 Turkish American Capitol Hill Summer Interns were: Adam Akant, Ece Aygar, Jeffrey Bishku-Aykul, Rahmi Cemen, Nicole Dermond, Aylin Dirioz, Parla Duman, Hasan Eygoren, Selcuk Kyle Inan, Emine Elif Kasapoglu, Duygu Kavas, Arda Ozdinc, Berkend Pura, Furkan Unal, Nathan Yalcin, Lara Yegenoglu, Suna Yeltekin, and Fuat Yurekli. 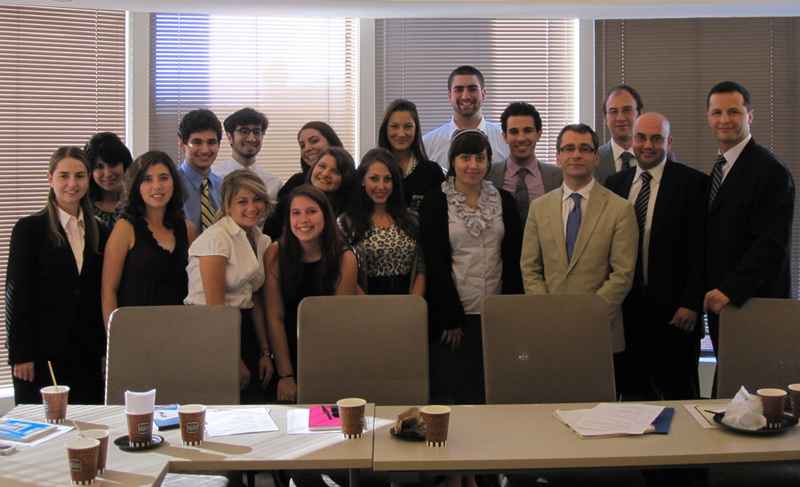 The Turkish Coalition of America and the U.S. Representative Office of the Turkish Industrialists' and Businessmen's Association (TUSIAD-US) offered 10 Turkish American collegiate students and one Azerbaijani American collegiate student internship opportunities in Washington, DC as part of the Turkish American Capitol Hill Summer Internship Program. TUSIAD-US and TCA each sponsored five interns as part of this joint program. The program is designed as an opportunity for Turkish American students to live and work in Washington, DC and become exposed to U.S. governmental bodies and the policymaking process. The interns had opportunities to meet with members of Congress and engage in dialogue on matters important to Turkish American relations. The 2008 Turkish American Capitol Hill Summer Interns were: Eren Akyar, Leman Basak Ari, Reyhan Bilici, Ulduoz Berenjforoush, Erim Canligi, Elif Selin Cila, Tulin Gurer, Derya Kirca, Yenal Kucuker, Emre Mangir, and Deniz Polat.